The sixth tremor in a month shook the city of Manchester. Seismologists declared that Manchester and its environs were officially at the centre of an �earthquake swarm�. The latest quake struck at 5:45am and measured 2.4 on the Richter scale � a minor tremor but one that caused houses to shake and residents to think that they were being burgled. The swarm - a succession of quakes that do not have a clear distinction between main shocks and after-shocks - is likely to be caused by the same movements of the Earth�s crust that led to 70 tremors in 2002. Manchester lies on top of four large faults � the Pendleton fault, the east and west Manchester faults and the Ardwick fault. The current quakes were likely to be a knock-on effect of friction between the Eurasian plate and either the African plate or the North American plate. �The crust is full of faults because of our turbulent geological past. At the moment we are quite fortunate in that we are far away from any major plate boundaries, but [430 million years ago] Scotland and England were on two separate continents. You�ve got these old faults within the crust that are points of weakness. We are still subject to tectonic stress, and these stresses build up on those points of weakness. The fault slips and we get an earthquake. The origin of the stresses is likely to be a long way away.� Manchester could be hit by further shocks before the swarm subsides. Seismologists are uncertain whether the tremors were caused by a single fault or a cluster. The faults beneath the city have caused swarms of tremors for centuries, including one in 1753 which caused church bells to ring. 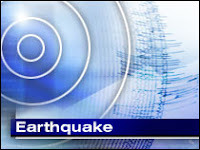 A previous sequence of quakes caused minor damage between October 2002 and January 2003, when shocks reached a magnitude of 3.9 on the Richter scale. Mancunians have little to fear from the current swarm, however. �It will rumble on for a period of months or weeks, but a volcano rising in the centre of Manchester is completely out of the question." British earthquakes have killed 11 people since 1580. Six were killed by falling stones, two fell from upper floors, two died of shock and one committed suicide. The largest earthquake recorded in Britain had a magnitude of 6.1 and struck offshore in the North Sea on June 7, 1931. The last big British earthquake was in 1990, when a 5.1 tremor hit Bishop�s Castle, Shropshire. The most damaging quake to date was the magnitude 4.6 Colchester earthquake of 1884. It shattered walls and brought down a church spire. A magnitude 5 earthquake occurs on average every ten years. A magnitude 4 earthquake occurs on average every two to three years. PERU - Relief groups say Peru still badly needs aid after quake. Survivors are living on the streets in cardboard shelters under desperate, unhygienic conditions, two weeks after the quake struck.